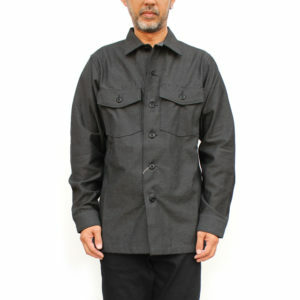 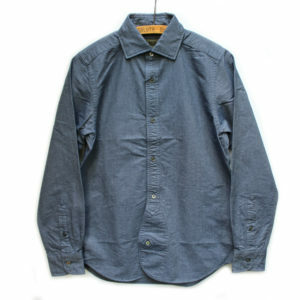 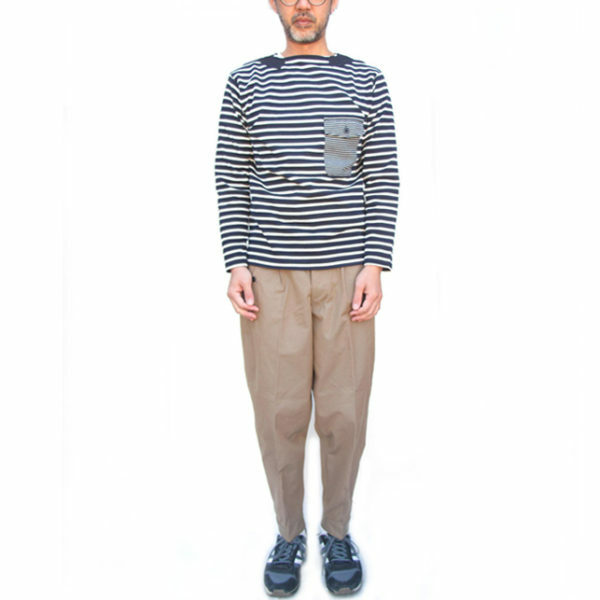 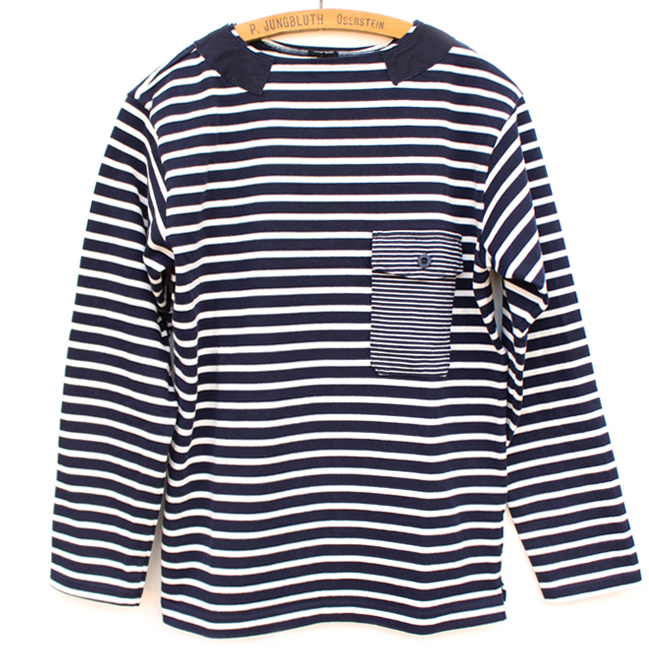 Nigel Cabourn Basque Shirt Long Sleeve. Influenced by vintage Basque fisherman’s shirt. 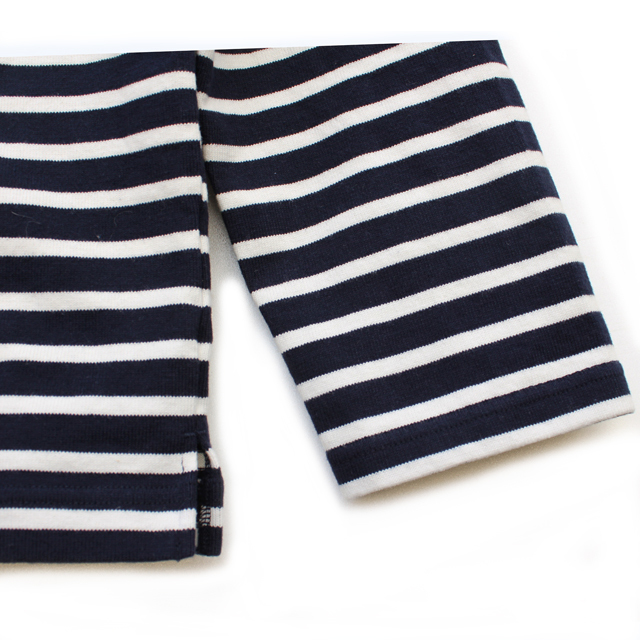 Made from Nigel Cabourn’s original rope yarn fabric contrasting with shoulder patches and chest flap pocket. 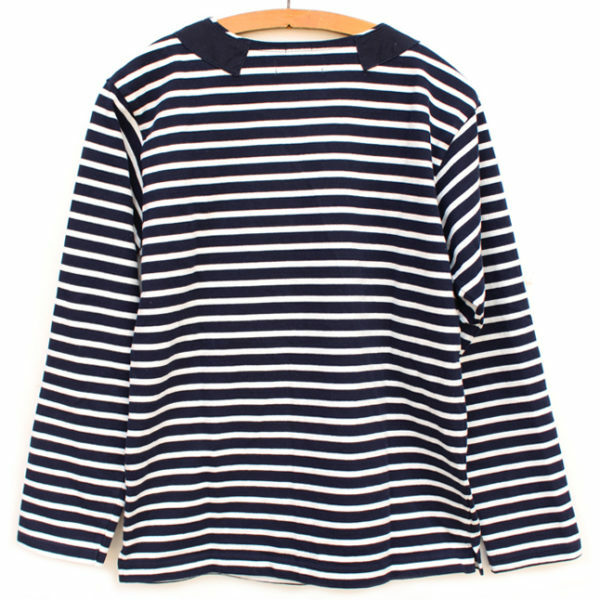 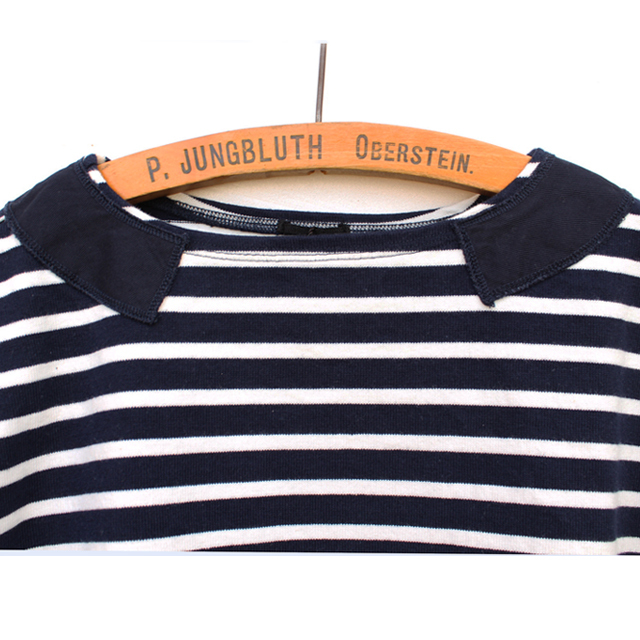 The shirt features slim silhouette, iconic open neck which can be worn with a shirt underneath.It goes with various bottoms from jeans to chinos. 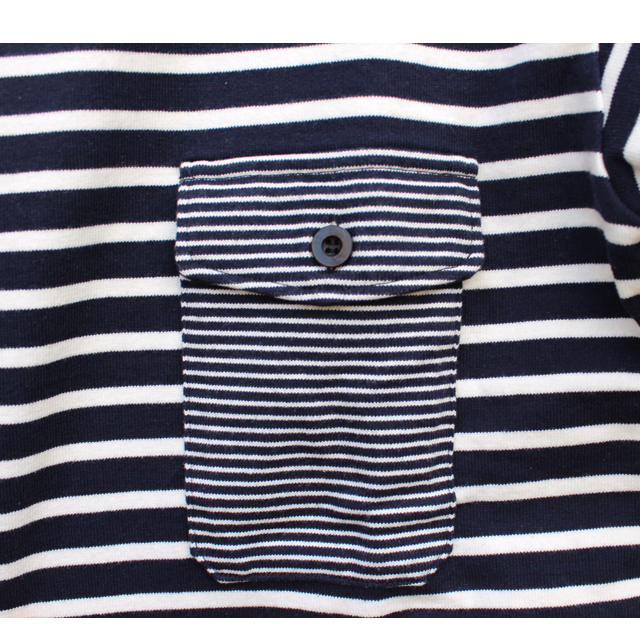 *It fits smaller than the actual measurements below because of the thickness of fabric. Please choose one size up if you are wearing a shirt underneath.